I am the Chapter Chair of Women Grow DC. 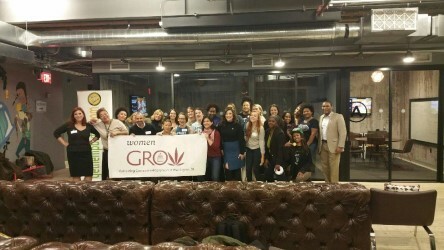 Women Grow is an organization that aims to connect, inspire and educate women to take on leadership roles and start businesses within the cannabis industry through monthly networking events. I am also the Advocacy and Federal Relations Chair for the National Cannabis Festival (NCF). In my role I help coordinate our non-profit advocacy partner activities at NCF as well as tracking all congressional invitations and outreach. Last year, we gathered advocacy groups and legislators from across the country to celebrate cannabis and educate 5,000 attendees at NCF. What is your occupation outside cannabis industry and advocacy? I work as a political consultant at Stones' Phones. I've personally worked three campaigns to legalize marijuana recreationally (Yes on 1 in Maine, Yes on 64 in AZ, and Initiative 71 in DC) and one criminal justice reform campaign: Yes on 780 and 781 in Oklahoma. Generally speaking, Stones' Phones has worked for the past 15 years on a variety of progressive and democratic campaigns across the country. Tell us how you started the DC Chapter of Women Grow? Inspired by Stones' Phones work on Initiative 71, my boss sent me to the MJ Biz Conference in Vegas in 2014, and that was my first introduction to Women Grow. Initiative 71 showed me that there are much bigger issues around cannabis legalization than simply allowing people to consume marijuana as they please, and I wanted to do my part in educating and empowering the public on those issues. "Initiative 71 showed me that there are much bigger issues around cannabis legalization than simply allowing people to consume marijuana as they please, and I wanted to do my part in educating and empowering the public on those issues." What were your goals when you started the Women Grow DC chapter? 1) I wanted to ensure that all women had a space to come, learn and network in the cannabis industry, especially in our nation's capitol. 2) I believe it is our duty to educate our members about how race, sexual orientation, gender, etc., play into our biases when building a business and how diversity is a practice, not a five step check list. What are your goals for the advocacy committee this year? The tag line of the National Cannabis Festival is, "Art. Education. Activism," and all of those exactly encompass our advocacy committee. Our goal is to show that advocacy is multi-dimensional and to highlight all the hardworking groups and legislators that allow us to have something like the National Cannabis Festival. Cannabis is an issue that reaches across party lines, and we think that will shine through this year with our speakers and advocacy groups. How would you like to see cannabis business and advocacy come together to promote diversity?There is no business without advocacy in cannabis. We have the advocacy groups to thank for all the progress and profits cannabis businesses have made, which can be easy to forget in all the excitement business owners see in this billion dollar market. The cannabis industry was built on the backs of people of color, plain and simple, and it's essential that is taken into consideration when building businesses and crafting legislation. We have the opportunity to build the most inclusive, diverse, billion dollar industry in our nation's history, and business owners should absolutely take advantage of the rich treasure trove of advocacy and networking groups to achieve this. We look to highlight this with both Women Grow and the National Cannabis Festival. "We have the advocacy groups to thank for all the progress and profits cannabis businesses have made, which can be easy to forget in all the excitement business owners see in this billion dollar market." What was the first NCF like for you? It was a dream! 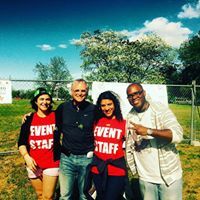 The highlight for me was walking Oregon US Congressman Earl Blumenauer around the Festival and talking with him about the DC businesses and advocacy groups that were at the festival. There is something special about knowing that there are lawmakers at all levels of the government that have our back and love what we're doing. What are your hopes for NCF 2017? I hope that people leave the festival feeling inspired to be part of something bigger than themselves and that the next time they get asked to call their legislator regarding something relating to cannabis, they know their voice matters and they do it.